The Crossings Bed & Breakfast is a newly built home just minutes from the Interstate with access to all of Billings within 15 minutes! We are located on the Yellowstone River in a peaceful urban community. We are a great place to stop, refresh- stroll on the many walking trails and get in touch with nature while exploring Norm's Island nearby. Join us for a restful sleep and a great breakfast. Our guest rooms are a mix of contemporary comfort and timeless elegance; here you can relax in a quiet neighborhood instead of an Interstate corridor. We offer an exercise room in the lower level, with two Nordic Track treadmills, a stationary bike and an infared sauna to get the muscles soothed back down after the workout! 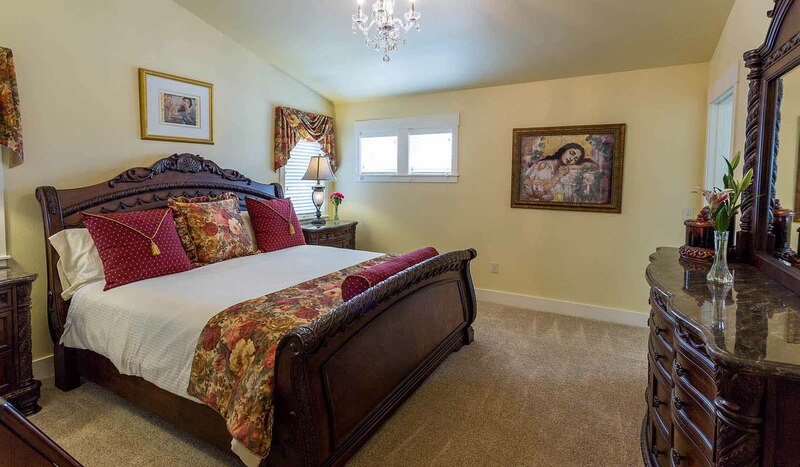 Whatever your purpose: a much needed vacation, a romantic getaway, a special occasion, a short stopover or a business trip, The Crossings Bed & Breakfast will be your quiet comfortable home for as long as you're here.